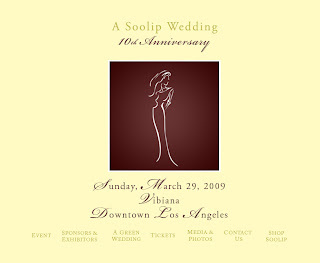 We are excited to have been invited to be one of the exhibitors at A Soolip Wedding, taking place at the beautiful Vibiana located in downtown Los Angeles. This highly anticipated event will take place on Sunday, March 29th from 11am to 3pm. Every vendor participating has joined by invitation only, so we are feeling quite honored. Tickets to attend are normally $45 at the door, but we are offering $30 discount tickets purchased from their website. The discount code is FF09, and we definitely hope to see you there!